Our Coco Bear is a cute cuddly guy made of super soft mink touch fur on his body, nose, and foot pad, with black bead-like eyes. 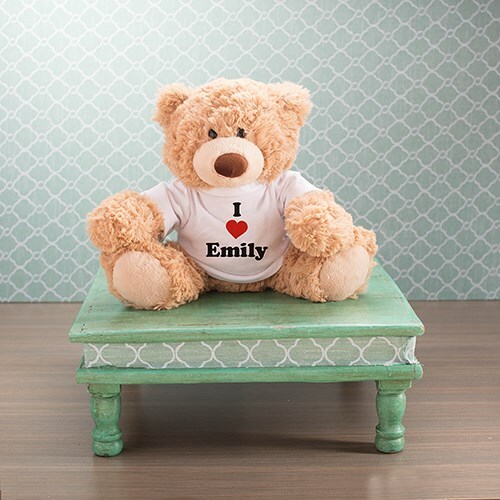 Send a love message to that special someone with our Personalized I Love You Coco Bear, complete with any name on his love t-shirt. Coco is made of polyester material and surface washable.